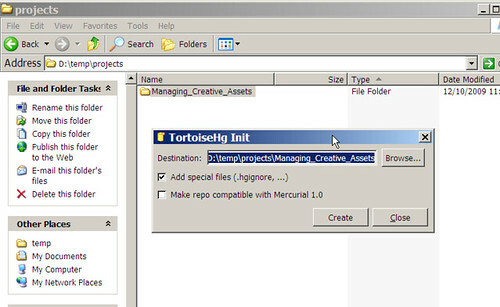 The concluding part of this series will be the installation and typical usage of Tortoise Mercurial, a user friendly GUI front-end for Mercurial. It is commonly referred to as TortoiseHg (the chemical symbol for mercury). 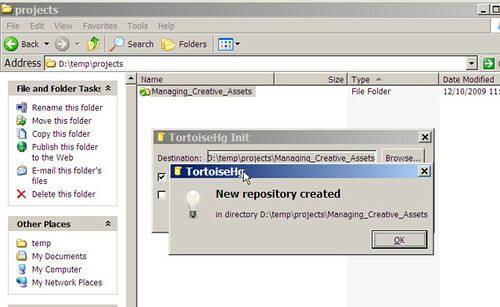 Download Tortoise mercurial from the Bitbucket site. 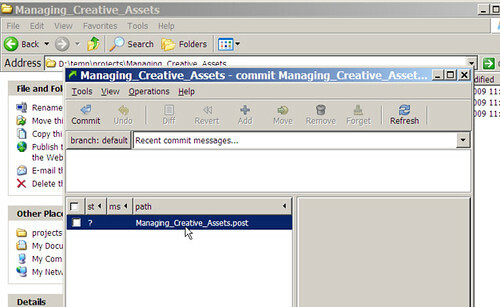 There are installables for Windows as well as for Linux. Installation on Windows is fairly straightforward as it is wizard-based. 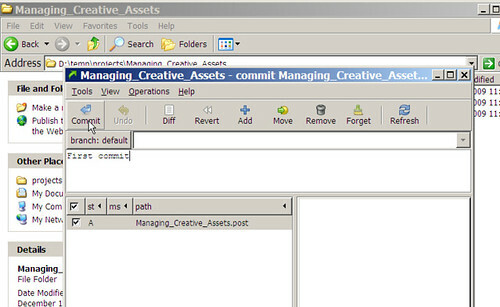 The defaults in the ‘Create Repository’ dialogs are fine. 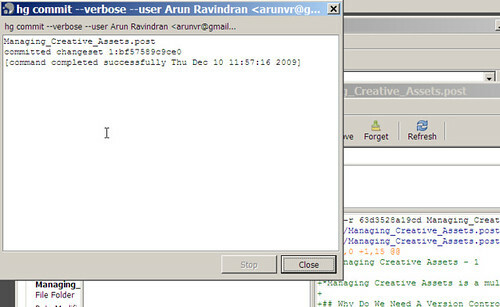 Just click Create. 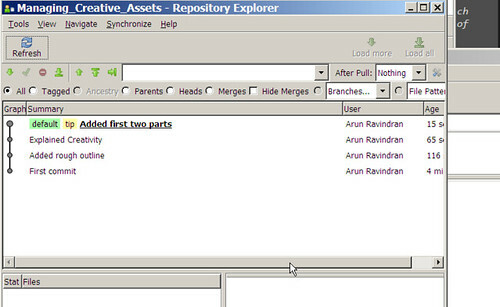 The new repository has been created. That was easy, wasn’t it? 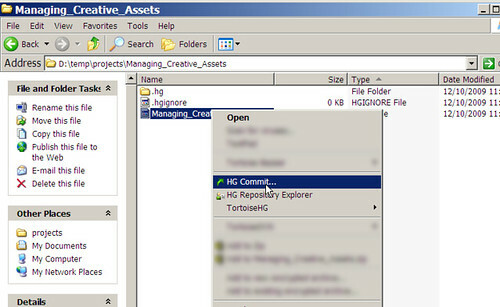 Now, enter the project folder and view the changes. On some OSes, you might see nothing here. 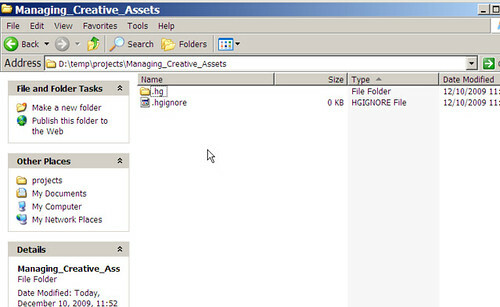 These files are not intended to be seen or modified, hence they might be hidden. You can safely ignore them. 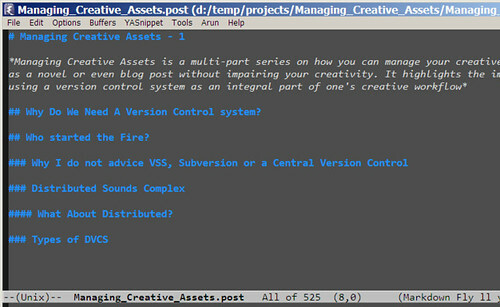 This is a screenshot of a new file that I am editing (using Emacs editor) inside the project folder. I am ready to check-in this file. 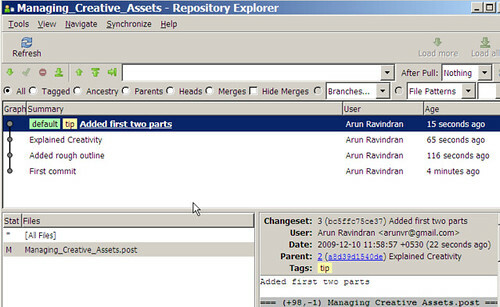 Now, you will need to add this new file to your repository. Let’s skip that and directly perform a commit. 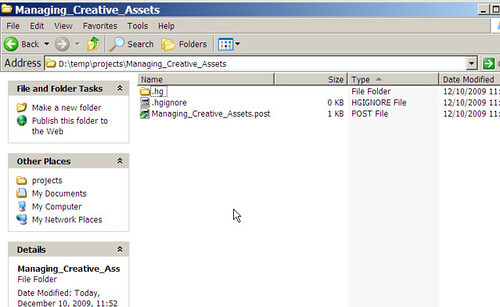 We will be later given a chance to add this file. Many hours and many check-ins later, my post is nearly close to completion. I commit this version as well. 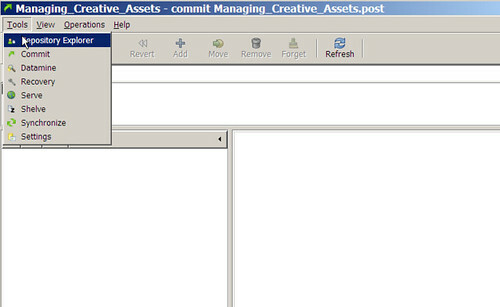 In the commit dialog, notice the Repository Explorer in the menu. You can view the history of changes in reverse chronological order. You can right click on any of them to compare the changes or revert back to an earlier version. 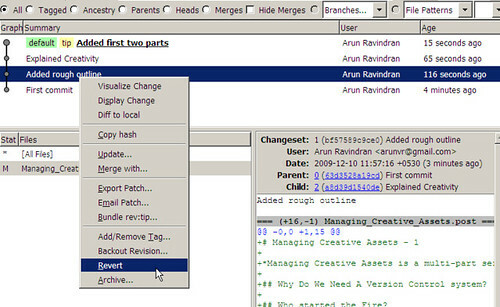 Simply clicking on each version will show the diff (in UNIX format) between the consecutive versions in the lower right window. 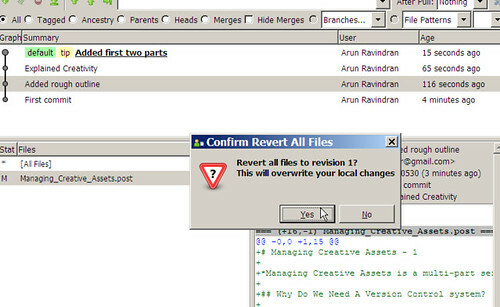 You can perform a revert by selecting the Revert option. 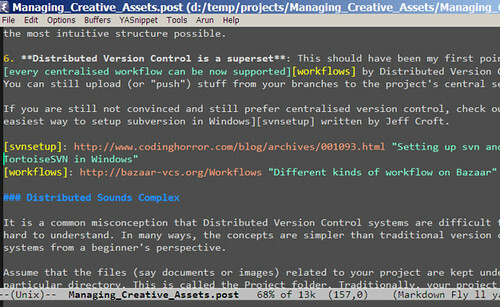 As indicated by the warning, your current file will be overwritten to an older version. But subsequently you can revert to the latest version as well, so this is not too much of an issue. 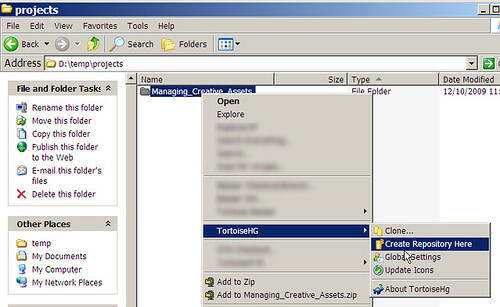 That’s pretty much all you need to know to use Tortoise Hg. Hope you found this series informative!